Taking sweatpants out of the studio, our iconic fleece pants have got an upgrade in a flattering, slimmer fit shape. Made from luxurious Italian Fleece fabric, they make an insulating and easy-wear addition to your wardrobe. An elasticated waistband and cuffed legs ensure they stay in place all day. 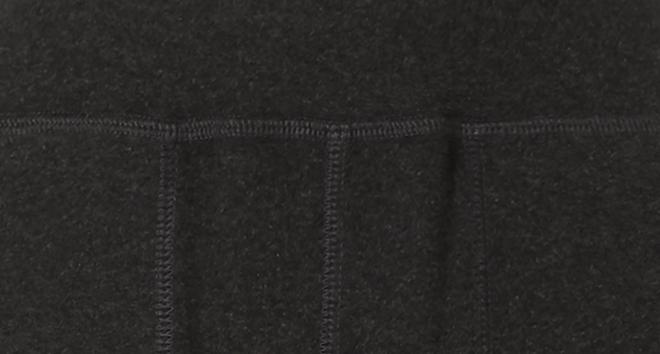 Thermal polyester is a durable and supportive fabric with a soft brushed back finish on the underside. Providing great insulation against the elements keeping you warm and free of perspiration when working out. Luxe Liberty Pants is rated 5.0 out of 5 by 5. Rated 5 out of 5 by RollerDerbyGirl from Simply delightfully amazing to wear These are SO incredibly comfortable. I'm 5foot 4 and got a size large. PERFECT. And, they are light. I want to wear these all the time. Rated 5 out of 5 by Grannyworksout from Yoga pants and hair twisties My purchases were gifts and the receivers LOVED them!! They will be visiting your website!!! Rated 5 out of 5 by Romanydog from So comfortable and soft I bought these pants for lounging around the house and they are very soft and comfortable and do not appear to lose their shape after wearing. Very happy with the colour and quality of zips and material. Rated 5 out of 5 by Funlifewhenfit from My fancy jogging pants! Super soft & feels luxurious. I wear it a lot to gym and even at work. Seems very durable. I wash it on gentle cycle then hang dry so still looks brand new. Rated 5 out of 5 by joanb from Comfortable and they look great too! I purchased these as lounge pants from my local Sweaty Betty store a few weeks ago. They are expensive for lounge pants but honestly, they are, bar none, the best I have owned. The are warm and comfortable. I walk the dogs in them on these chilly fall mornings and they keep me warm. They are not too baggy, not too tight - just right - perfectly presentable for running errands around town. I'll be back for another pair!